I have really wanted to break up the monotony of work and household chores (the list is ever growing) with some creative juices flowing... but with the aforementioned house costing good money to furnish and decorate, and the closets needing filling ;-) I wanted to find a cheap craft to do that had a fashion twist but I didn't have to spend a ton of moola on. 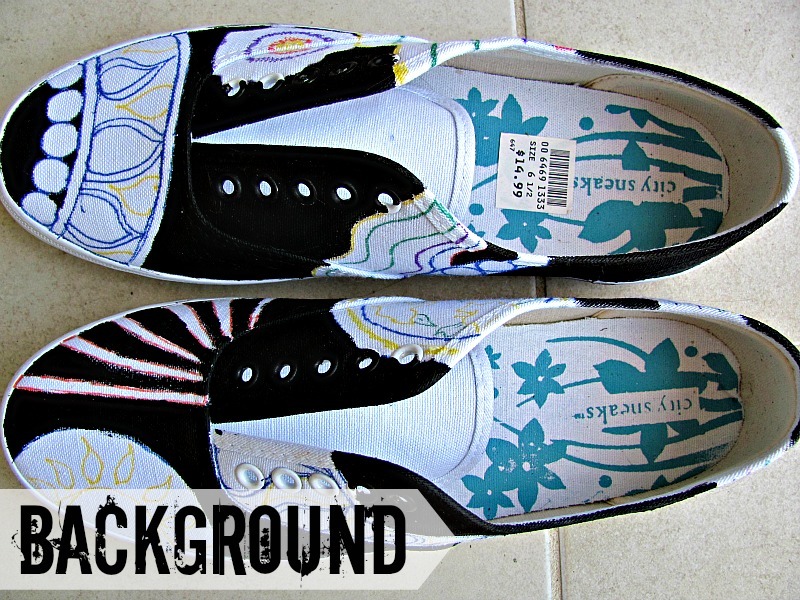 I thought back to when my Mom would take us to Payless and get us a pair of canvas sneakers to decorate. She'd get us a pair for every day, then let us go to town on another pair, with markers, paint, glitter... basically anything we could get our hands on. Why not do my adult version? 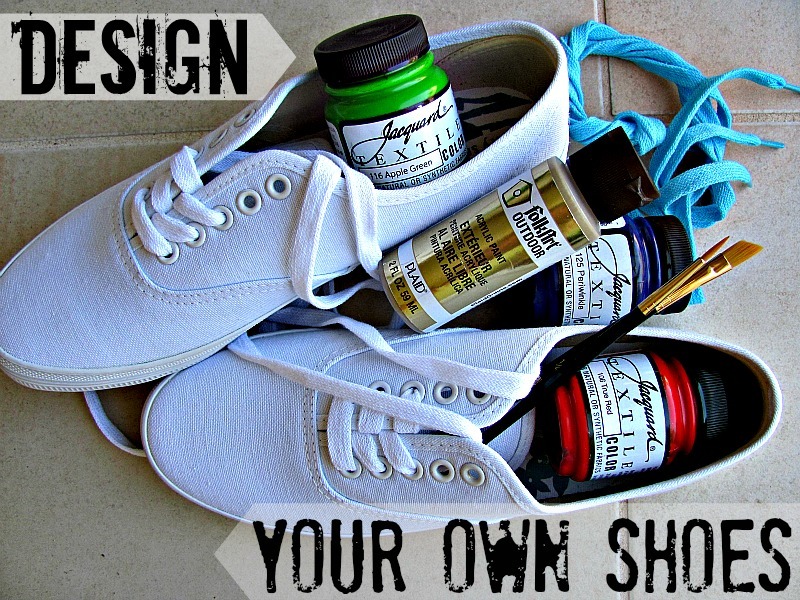 Obviously, you want to take to your shoes with some inspiration, whether it's designer or from your own head. I decided to combine the two. 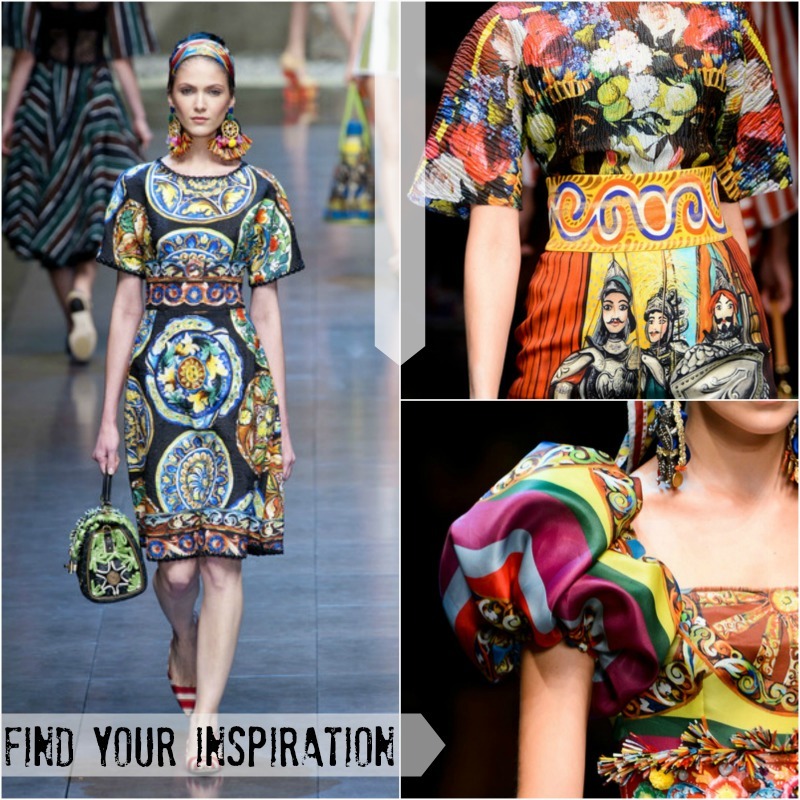 I really loved the crazy prints from the Dolce and Gabbana SS 2013. They were somewhat Spanish inspired, somewhat Don Quixote-esque with a dash of Sun. The things I gathered together to start the process? I started the design process by sort of color coordinating the designs on my shoes. 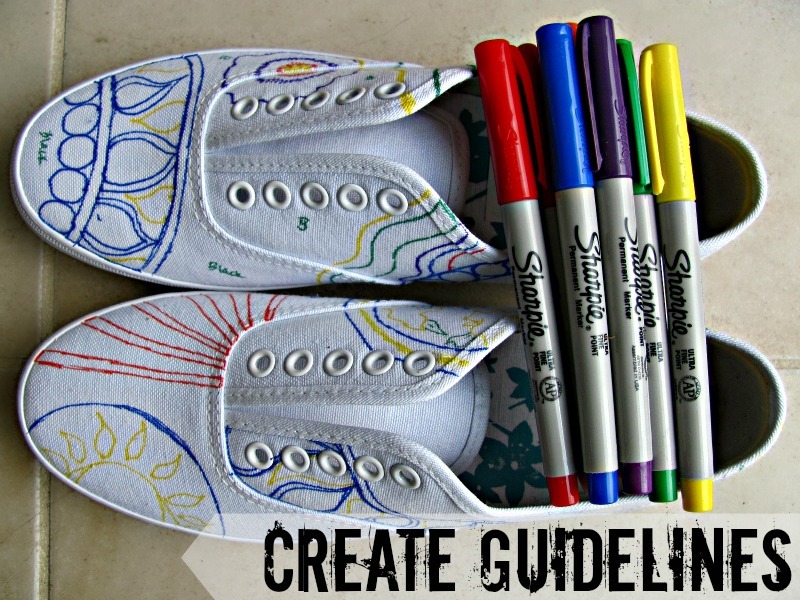 I thought the most dramatic way to make the shoes pop would be to paint them, not use Sharpies for the finished product. I wanted the shoes to be more cool and fashion-y than craft project. I did a rough sketch of the design elements on each shoe and also wrote in where I wanted to put some colors. These weren't the exact shades I wanted to use but gave me a basic guideline. When I started painting, I made the mistake of not having all colors handy. When you want to achieve specific shades, you'll want all hands on deck. I did the darker backgrounds first and let them dry so that black and dark blue would not mix with the lighter colors. Typical dry time, to be safe, is an hour or two, assuming you didn't schlop the paint on super thick. I went in and did more details, filling in the bigger areas, then let the shoes do some more drying. I added some final touches and tiny details that I thought about trying, some successfully, others not so much. Once I was "happy" with the finished results, I used some craft sealant, because, well, I wanted the paint to stay put as long as possible. This I also let dry because it can be a little sticky when wet and no one wants that on their feet. It was a really fun project overall, something I would recommend to my fashion sistahs and also to Moms with kids, because this is something I enjoyed both past and present. They turned out so fun! I love that your mom let you decorate your own shoes as a kid. That's awesome of her and a super fun memory too. Oh wow the turned pretty cool. I really like the second. LOVE THIS. 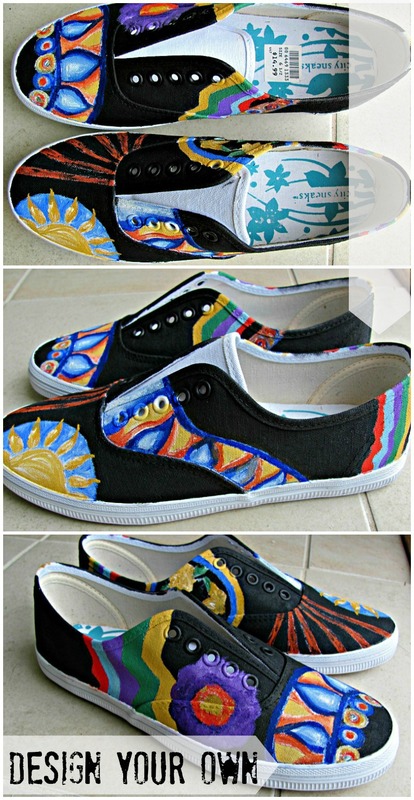 I was just browsing hang-painted sneaks on Etsy, but should really just make a few practice prints and try painting some myself!